A couple bright and cheery photos to liven up your Monday! Oh I love those photos! They are soo pretty! <3 Happy Monday! Love these colors! Hmmm, I might use them for my daughter's first birthday this Summer. :) Thanks! 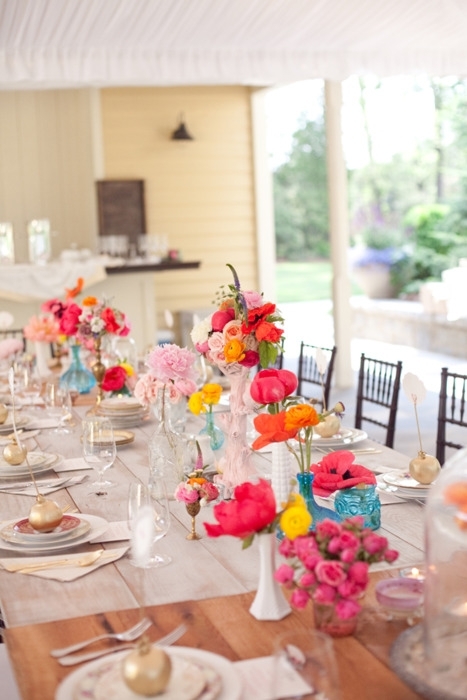 just love this table scape. The colors are glorious! Of course I pinned these. 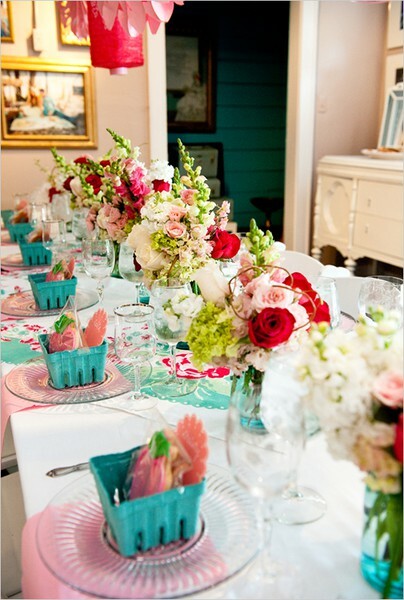 LOVE those turquoise fruit baskets and all of it just screams springy summertime to me. Time to get out of the grays of the PNW.